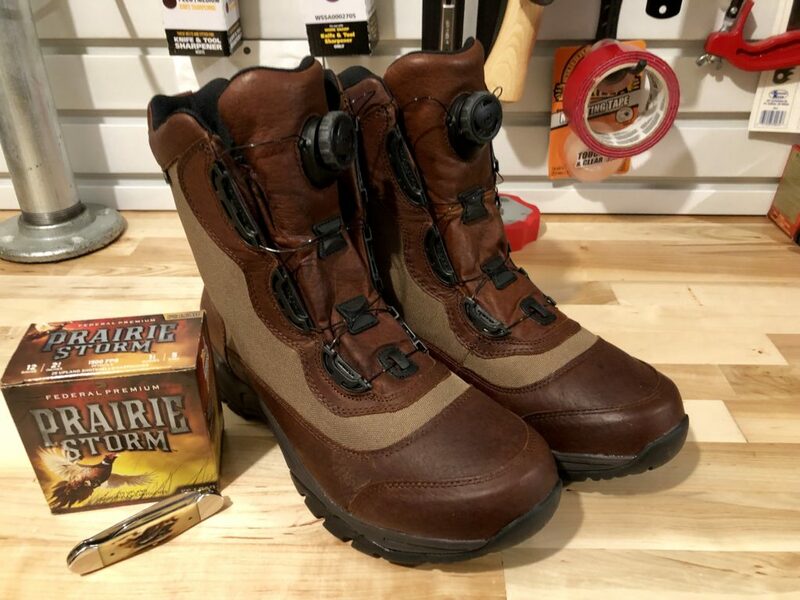 “What’s wrong with laces?”, I thought to myself after the folks at Boa Fit Systems asked me to try a pair of boots that employed their lacing system. My bias in hunting gear tends to lean towards classic, traditional designs and eschews gimmickry. So to be honest, I didn’t think I would like the Boa Fit System as I thought good old lace-up boots were just fine. As the Boa Fit System can be found in a variety of footwear we really need to look at the Boa Fit System and the boot itself. 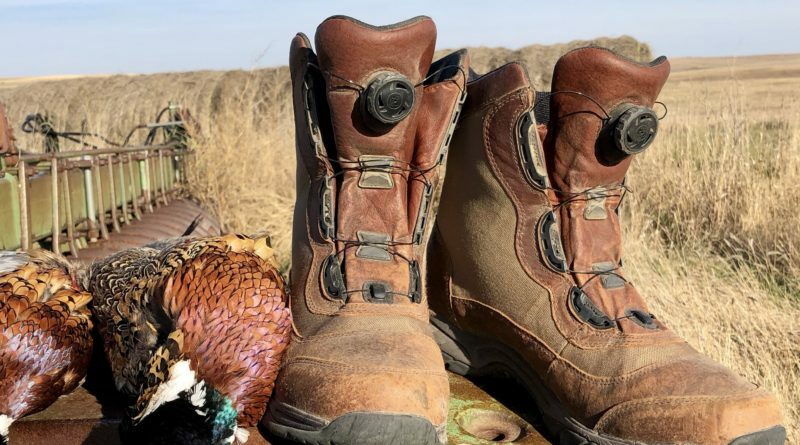 Following is a review of the LL Bean Kangaroo Upland Boots with Boa Fit System. Boa engineers each lacing system for the specific shoe or boot it’s being applied to for optimal fit. First, I thought the fit was pretty amazing. Unlike using laces, the Boa Fit System applies completely even pressure across the lacing system. 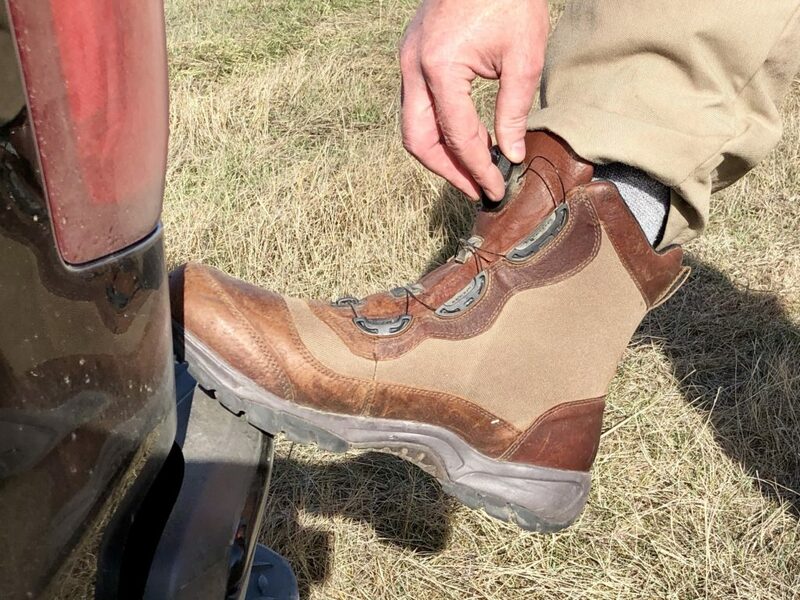 As I was walking a field, if my boots felt a little loose, it was easy to reach down and turn the dial a couple of clicks for a truly precision fit. Second, the system offers great utility. When I got back to the truck, it was easy to pull the dial to release the tension on the lacing system. I found it makes taking them on and off really easy. Finally, my boots never came untied. It seems like a small thing, but I cannot tell you how many times I’ve had to stop to tie my boots while hunting. Adjusting the fit on my LL Bean Kangaroo Upland Boots with Boa Fit System. As for the boot itself, it turns out that LL Bean knows a thing or two about making boots, they’ve been making them since 1912. I found these LL Bean kangaroo leather boots to be well-crafted, durable and super comfortable. One of my rules with boots is they have to feel great immediately. I no longer subscribe to the myth that you need to “break in” new boots. If I try on new boots and they don’t feel great right out of the box, I keep looking. I tried my new boots on at home to ensure that they fit and then tossed I them in my truck and headed to South Dakota. During a week of wear while pheasant hunting, I found these boots to be lightweight with athletic shoe feel and really good support. 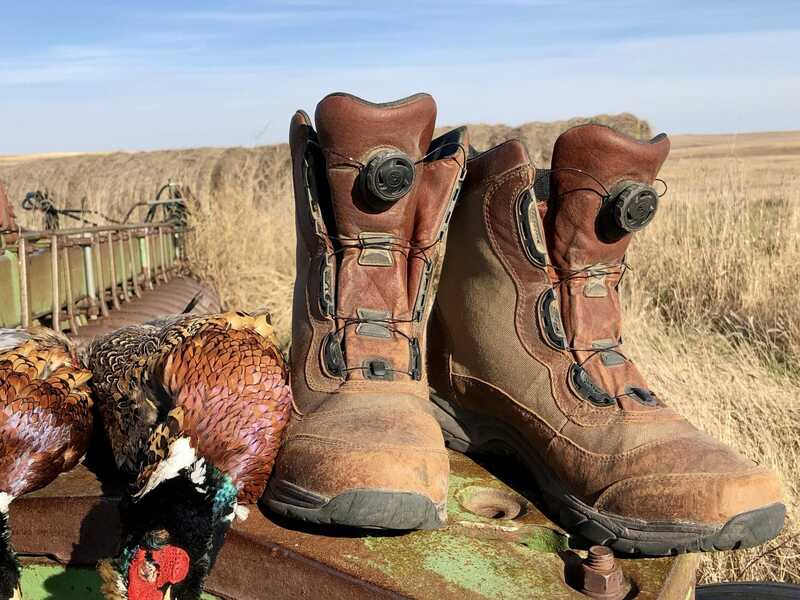 When I travel for pheasant hunting, I always bring a couple of pairs of boots on the trip. The best thing I can say about these LL Bean boots and Boa lacing system is I never wanted to switch to my other pair of boots. I wore the LL Bean Kangaroo Upland Boots every day of the hunt because they were my best option. While I originally thought the Boa Fit System was a bit of a gimmick, I found that it’s a big upgrade from traditional laces. Now, I’m going to want the Boa Fit System on all my hunting boots. Note: HuntTested may receive a small commission if you purchase a product from the links on this page. This does NOT increase your price and helps to pay for the content you’re enjoying. HuntTested did receive product consideration in coordination with this article. All opinions belong to HuntTested.